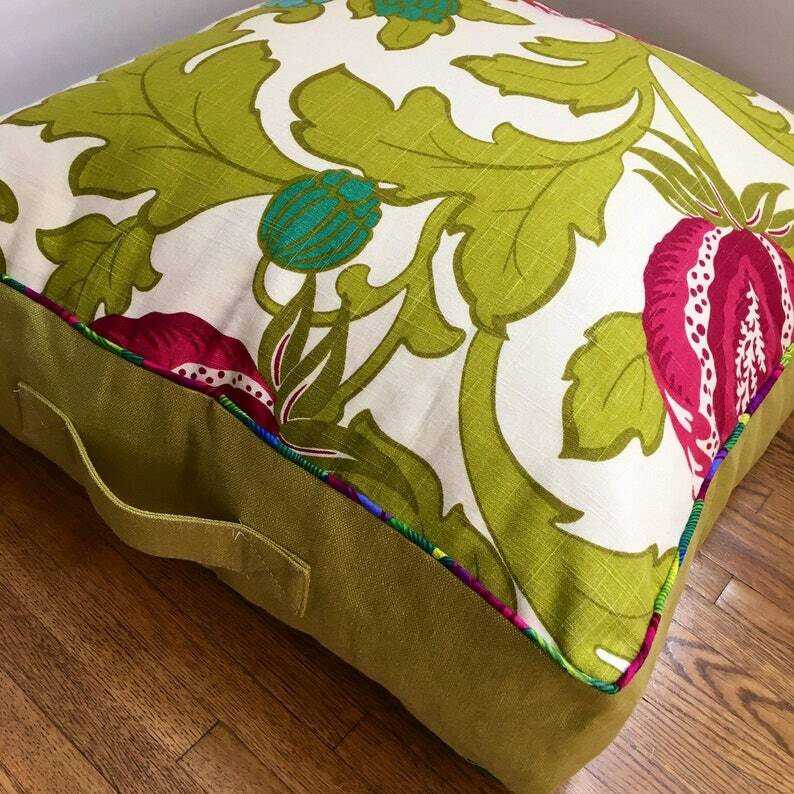 Bright colored box floor cushion filled with bean bag filler in separate insert. Cover has zipper so it can be dry cleaned. Corded edges and sturdy handle give it a custom look.